Mamabirth is offended that most people think homebirth advocates are “reckless, selfish, or uneducated.” She wants you to know that they love their children. Unfortunately, most homebirth advocates ARE reckless, selfish and uneducated. That’s because love has nothing to do with it. Their ability to assess the risks of homebirth is impaired by narcissism. How does narcissism impair the ability of homebirth advocates to assess risk? In the simplest terms, one can think of narcissists as individuals for whom enhancing the positivity of the self (specifically, to achieve status and esteem) is overwhelmingly important… [W]e suspected that narcissists’ decisions may be undermined by their short-term interest in maintaining an inflated self-image. Narcissists’ grandiose self-views may preclude the realistic appraisal of one’s likelihood of success needed for successful decisions, resulting in overconfidence and risk-taking. Exhibit A of the grandiosity of homebirth advocates: their claim to be “educated.” Sure, they may have done reading of homebirth books and websites written by other lay homebirth advocates. Yet, the claims of “education” are absurd on their face when compared to the amount of relevant education of an obstetrician, neonatologist, scientist or statistician. For the record- babies with wrapped umbilical cords can be delivered safely at home, home birth midwives often carry lifesaving anti-hemorrhage drugs (but they don’t need them as often as they are needed in the hospital, because mom isn’t pumped full of Pitocin through her labor, nor is heavy traction applied to a still attached placenta immediately postpartum) and YES THEY CAN MONITOR THE BABY! For goodness sake, they don’t show up with a stick for you to bite on and some beads to wave over your head in case something goes wrong. Ignorance of the risks of nuchal cords, check. Ignorance of the risk of postpartum hemorrhage, check. Inane nonsense about pitocin imbibed from other homebirth advocates, check. How can they be sure? Exhibit B of the narcissism of homebirth advocates is their belief that they are so special that their own thoughts have to power to determine events. That’s what it means to “trust” birth, even though childbirth is one of the leading killers of young women and children in every time, place and culture. That’s why birth “affirmations” are so important in homebirth advocacy. Believe that you are safe and you are safe. Insist that complications won’t occur and they won’t. Assert that your baby cannot die at homebirth and it wouldn’t dare defy the injunction. 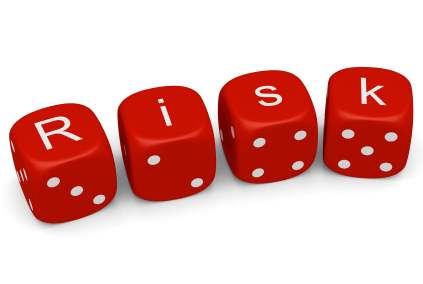 The second pitfall in narcissists’ decision making may be their willingness to take risks. … [W]hen coupled with overconfidence … risk-taking systematically leads to losses … Research has also demonstrated a link between threatened self-esteem and risk-taking… To the extent that high self-esteem is reflected in narcissism, this result is consistent with the prediction that narcissists will display more risk-taking on tasks involving their own knowledge. Homebirth advocates are willing to take risks that would horrify any other mother because they are sure they know everything worth knowing about birth. And, Exhibit C in the grandiosity and narcissism of homebirth advocates, they are sure that they have some special insight (intuition) into what will happen during their own labor and delivery. They can tell what is going to happen in the future even though the rest of us mere mortals cannot. What is truly striking, however, is the extent to which the self esteem of homebirth advocates is involved in the decision to choose homebirth. It isn’t about the baby, and it isn’t even about birth. It’s about them, not simply their experience, but their special talents, like being “educated” and having intuition about the future. And if that’s not enough, they insist they can control the future with their own thoughts. Sorry, Mambirth, you are not “educated.” You are actually pathetically ignorant about the reality of childbirth, the standards of practice and the scientific literature. You are reckless. You are willing to stake your baby’s very life on your grandiose assessment of your own knowledge and super-special ability (intuition) to predict the future, not to mention your inane conviction that believing homebirth is safe makes it safe. I don’t doubt that homebirth advocates love their children. That’s a pretty low standard. After all, women who don’t buckle their children into seatbelts love them, too. That doesn’t change the fact that they are also reckless, selfish and uneducated about the risks. ← Can we please stop framing homebirth as a turf issue?